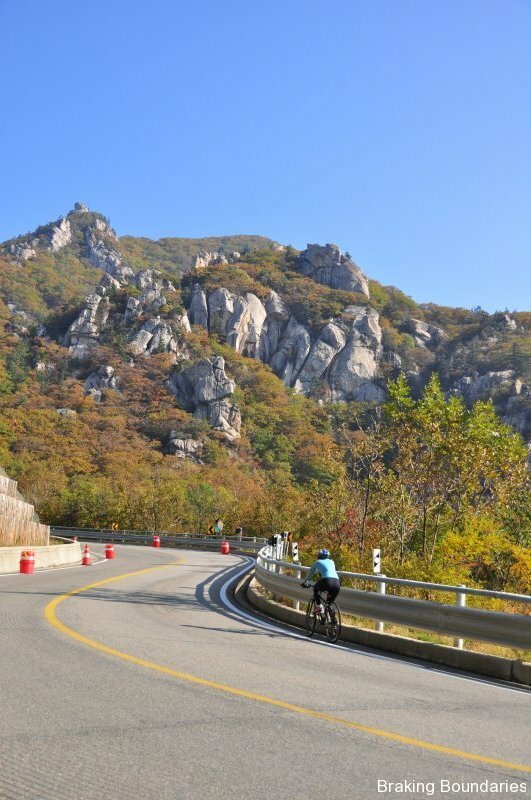 Seoraksan National Park is a one of the most beautiful places to visit in Korea. 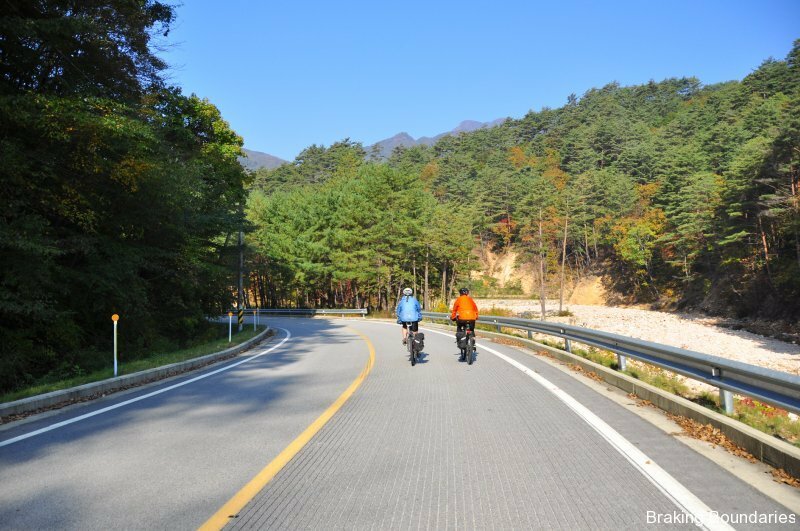 Recently I spent the weekend with friends cycling the mountains during DanPung (??) 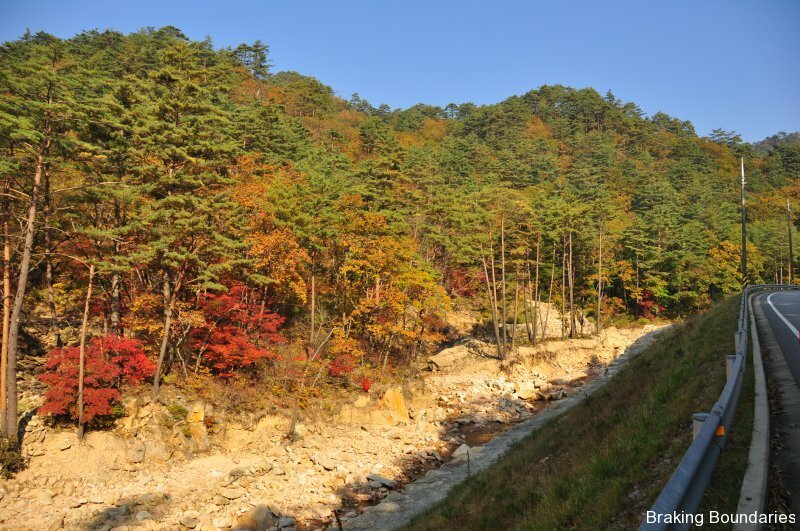 which is the Korean word for the changing of the leaves in fall. Here is what we saw. 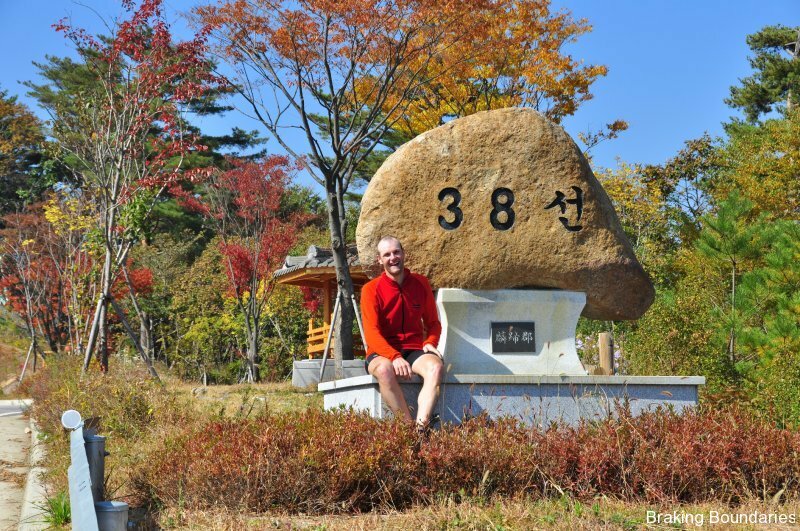 April 8th 2011 – Jake Lee turns the last corner reaching 920 meters on the first mornings climb. 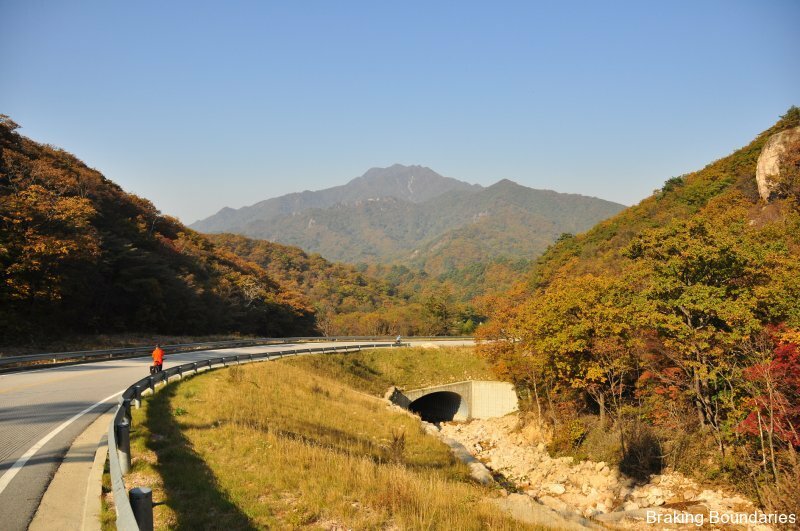 April 8th 2011 – A view of the road with Jessica Pesterfield on her first mountains climb. 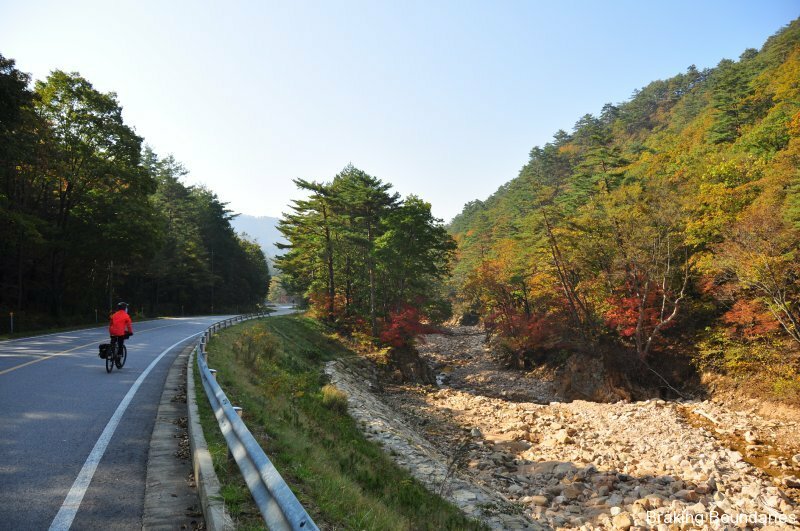 April 8th 2011 – Decending into the prettiest valley in Korea. April 8th 2011 – DanPung (??) 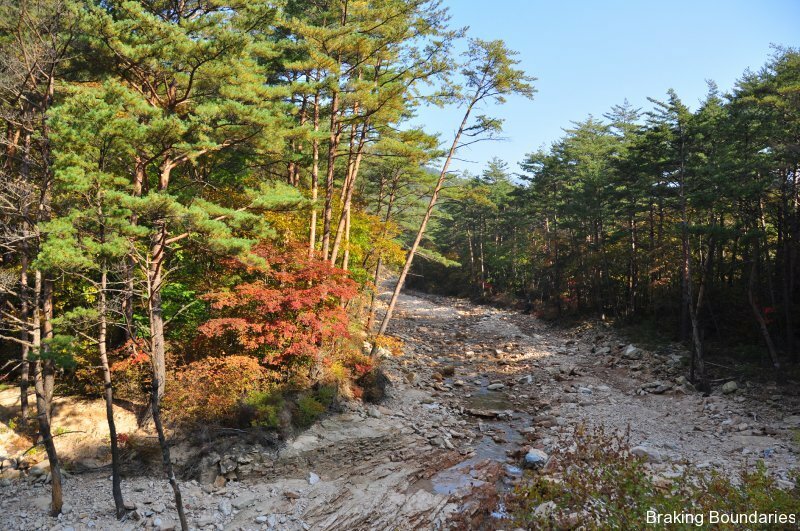 The changing of the leaves. April 8th 2011 – Katie Eichten all wrapped up in her Ground Effect jacket for the brisk decent. April 8th 2011 – Katie Eichten and Katie Tibbetts still on the long smooth decent. 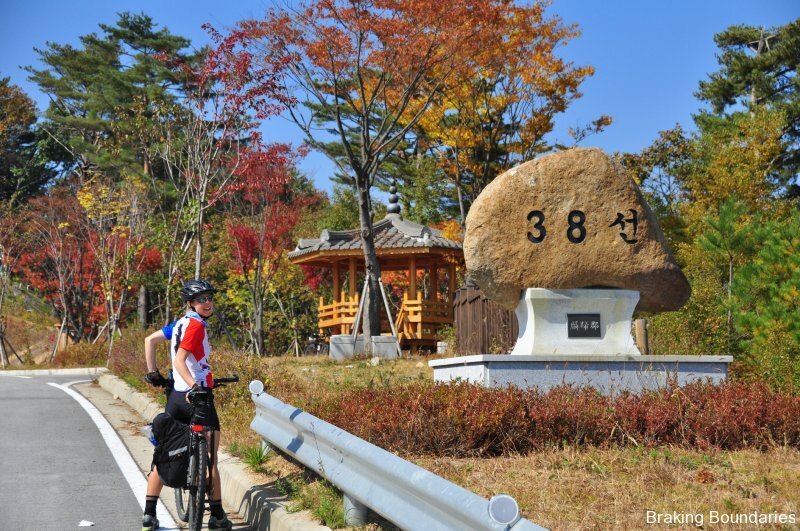 April 8th 2011 – Katie Eichten stands next to a 38th Parallel marker, the border of North and South Korea. 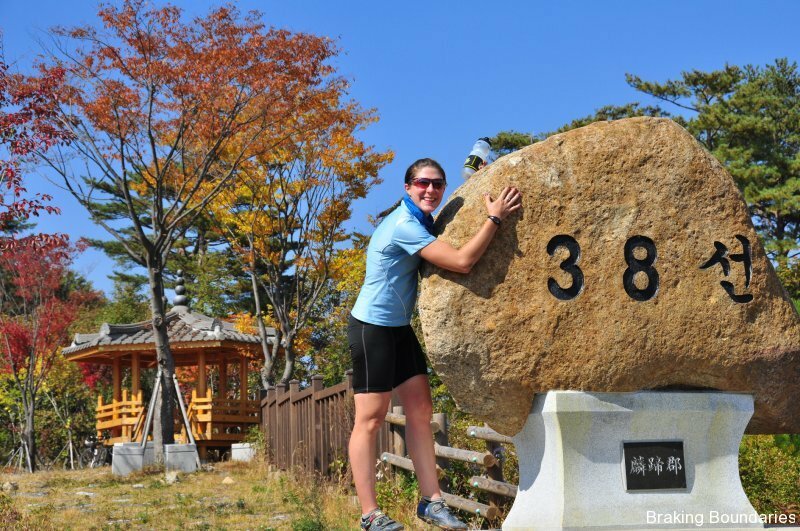 April 8th 2011 – Katie Tibbetts giving the 38th Parallel a bit of loving. 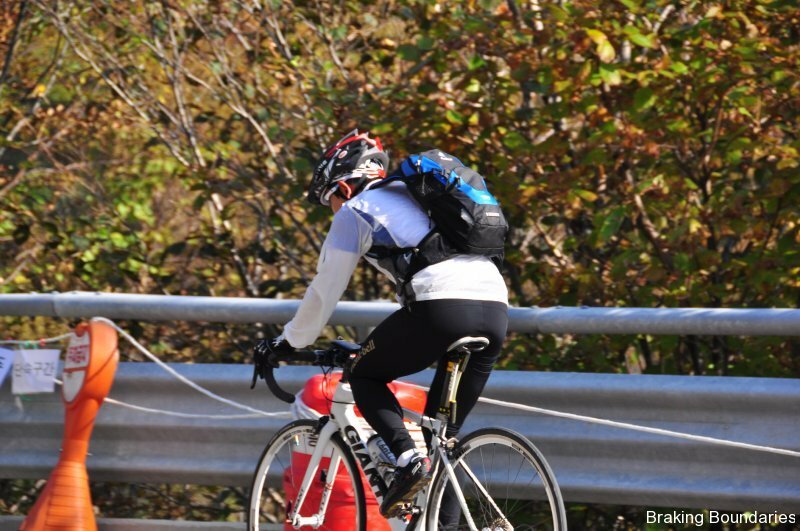 April 8th 2011 – That’s me. Enjoying a nice warm afternoon. 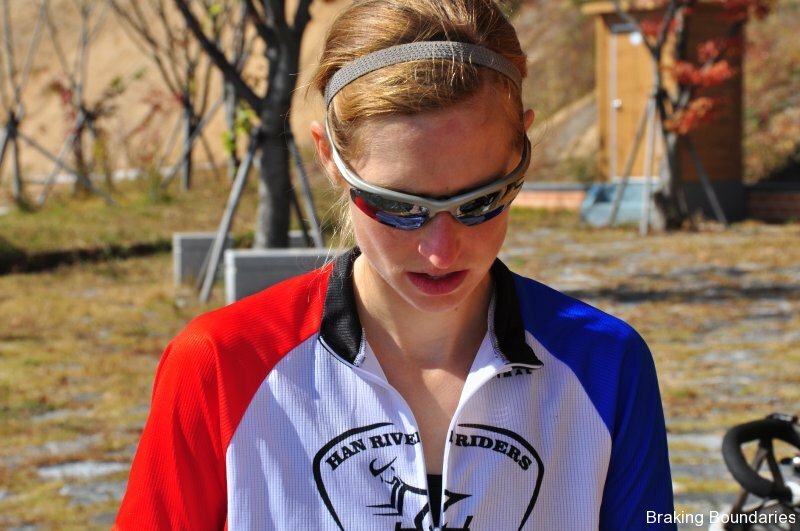 April 8th 2011 – Katie Eichten sporting our club, The Han River Riders new cycling jersey.